Yoga has brought into my life so many amazing people... people from all sorts of walks of life... people with all different paths and needs and bodies.... people who have inspired me... people who have empowered me... people who taught me huge lessons... people who needed me... people who didn't realize I needed them... and I can go on and on. When it comes to the clothes I wear, products I use and things I eat, I always do my research. I have been using Manduka for years now and their products are nothing short of amazing. Aside from their product, the brand as a whole is genuine, true and so amazing to work with. I say with great pride that I love being an ambassador for them. I recently got an amazing package in the mail with several Manduka items. We all love those packages of new gear to try, it is like Christmas morning. As soon as I pulled out their herringbone leggings, I fell in love. So of course they were on in 3 seconds flat and I am in warrior pose in the middle of my living room with my cats staring at me but they have seen this plenty of times before. I wanted to share with my audience how amazing these look and feel. The photo gallery below is from that day walking around the lovely city of Pittsburgh! Yes, there was sunlight in Pittsburgh, it was meant to be! Now, back to nuts and bolts. 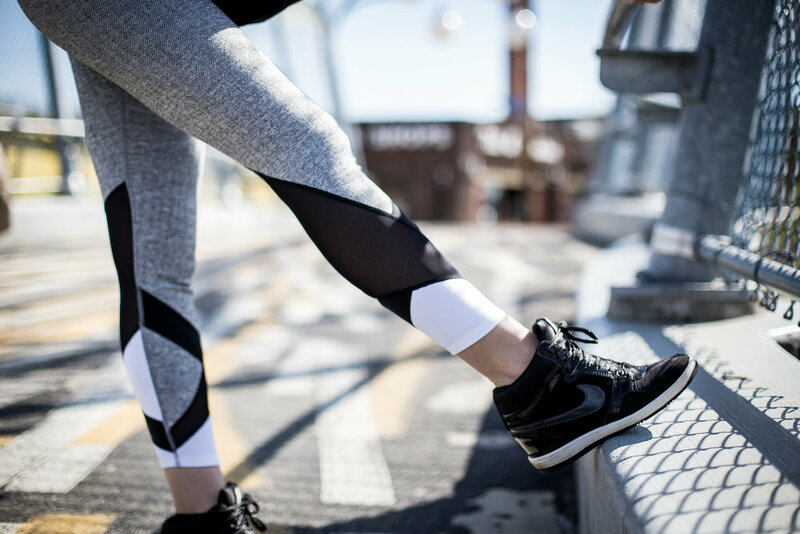 These leggings can go from studio to street so seamlessly. The details are perfection. Who doesn't love a good herringbone or mesh? The fit... is like a glove even after they were on all day for shopping, yoga and a walk around Pittsburgh for some photos.